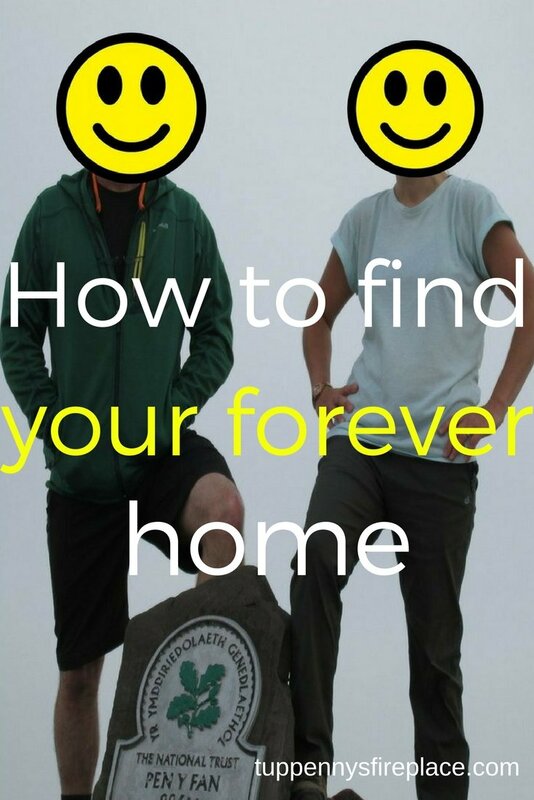 How to choose your forever home – when you have a whole country and a small budget! If you want to retire to another part of the country then how much money you have can be the deciding factor in where you end up. If you have plenty of money, you have many more choices, on location, house style, land size etc. But if you want to find your forever home on a small income then your choices are reduced. Where are we going to retire to? Well that’s the million pound question isn’t it? Except I don’t have a million pounds, far from it. First of all let’s delve into the FIREplace because actually it’s two completely separate yet interconnected things. You might be thinking flames and woodburners and bonfires when I say FIRE. However in this instance I am talking about Financial Independence, Retire Early. So what is FIRE? Being Financially Independent means you have enough money to live the life you choose without working. It doesn’t mean you won’t work, it means work becomes optional. You don’t need to earn money to live because you have enough. Retire Early is exactly what it says on the tin. Retiring earlier than the norm. The normal retirement age in the UK is now 67/68 so retiring in your 50’s would definitely fall into the category of RE. And wow for anyone achieving FIRE in their 40s or earlier! Not everyone who is on the FIRE journey are bloggers of course! 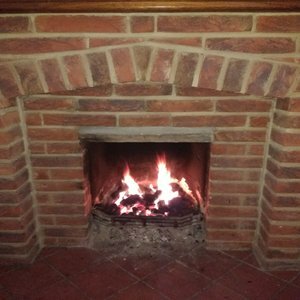 Mr2p and I have been aiming for FIRE for the past 10+ years but it’s only in the last month that I have started this blog. It’s a topic that is kinda underground if you see what I mean? Many people are in debt borrowing from tomorrow to buy today. To raise the subject of FIRE leaves you at risk of being labelled ‘weird’ or ‘living on a different planet’. Which is a little off putting. Our FIREplace is our forever home, a place we intend to (early) retire to. We live in the South East and can’t wait to move out of it. It’s too busy, too noisy and too expensive. I’d love to be able to tell you that we intend to move to X town on Y date but it’s not quite as simple as that. Our family is scattered across the country. We don’t have a logical place to gravitate toward with this relocation. We are relocating away from family in this instance (although they have plans to move in the future as well). And we don’t know exactly where we will move to. This is the main unknown we have. Oh and a double garage/large workshop/outbuildings for Mr2p. Unfortunately the South East doesn’t make the cut. So where does? And here is where we hit our first big problem – choosing an area! If only it were that simple. No, we have to complicate things. Or rather we don’t/haven’t done the right research at the right time and as in-depth as needed in order to identify the right location. It’s difficult to go location hunting when you are working fulltime, live on a budget and have commitments. You can’t just pop away for the weekend whenever you want. Which is probably why our searching has gone the way it has, hey ho. In the UK house prices are expensive, especially in areas that most people want to live in, whether that be for work, family or other reasons. I know in the US we could get what we wanted for half our budget. I drooled over the Frugalwoods homestead. A quick search shows you can pick up houses in Vermont with 5+ acres easily for $180,000. That is only £125,000! You can just about get a 1 bed flat for that where we live. It’s completely different here in the UK. Even in the cheaper places in the UK, as soon as you add in an acre (my dream) then its way more than those US prices. Houses with large gardens or half an acre+ can be difficult to find and come with a price tag to match. If we wanted our pick of houses with land/acreage then we need easily another £200-300k. If we put off our FIRE for a few years then we would have more choice. The thing is our savings rate is not £50k a year – we don’t earn anywhere near enough to save such a high figure. To put off our retirement for the time it takes for us to save £200k is too big an ask, for us. We’d rather stay a bit more flexible on location and what we get for our money and go sooner. We started off with Devon, specifically around Dartmoor National Park, as Mr2p has fond memories of training there many a year ago. It ticks a lot of the boxes so off we went and spent a few weekends in and around Dartmoor. And it is accessible for a weekend or day trip. wild camped (not my favourite but right up Mr2p’s street). and even stayed in a shepherds hut (highly recommended). We drove, we walked, we inspected and fell in love with the ruggedness and barrenness that makes up Dartmoor. However house prices in and around Dartmoor are like chalk and cheese. Chagford & Moretonhampstead are lovely, with independent businesses, local greengrocers etc but too expensive (for us). We could afford a 2 or 3 bed terraced cottage but it wouldn’t have the land or even much of a garden and definitely not a large garage or workshop for Mr2p. Then you have the many villages and towns in or on the edge of Dartmoor; Mary Tavy, Peter Tavy, Poundsgate, Yelveton and Widecombe in the Moor. Many of these villages have very busy roads running through them (we want to get away from loads of traffic), have few facilities and are still outside our budget if you add in a large garden. We then looked at the towns of Ashburton and Tavistock. Both have a good range of facilities on a small town scale. Both have a good feel to them and both don’t have houses with our long list of wants in our budget. I scoured for potential properties using Rightmove and Zoopla by identifying villages and towns and widening the search area a little. Did we just buy our forever home? I had presumed our budget didn’t stretch to inside the national park so didn’t draw a search area of the whole of Dartmoor until a few months later and up popped a house in Princetown for half our budget! Half! 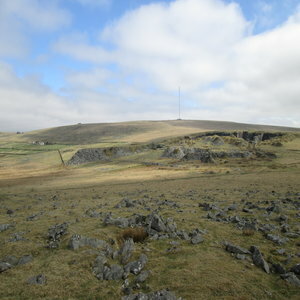 Princetown is not a pretty village, it’s in the middle of Dartmoor with the wild weather that comes with that location. Think grey render, think concrete, think prison! There’s a good reason the prison was built there in the 19th century – nowhere to escape to! But it does now have a shop, post office, 2 pubs and 2 cafes. We got carried away and decided we couldn’t miss up the opportunity of this cheap house (I know you what are thinking – it was cheap for a reason). So we drove down to view it, loved its outlook (it had views! ), loved its garden (think old fashioned kitchen garden across the road) and bought it! As it was so cheap in comparison to the rest of the South of England we worked out we could buy it with a mortgage (we were mortgage free at this point). Renovate it and use it as a 2nd home for 3-5 years before making our permanent move down there. 5 months after buying it we had 2nd thoughts about the area and the house, sigh. We were half way through extensive and expensive renovations (you were right – it was cheap for a reason) and spent another 8 months renovating it before selling it. We did make our money back but probably only broke even when you factor in diesel, takeaways and even staying in a Travelodge as it was uninhabitable for 6 months. Not very money saving! Come and follow me on Pinterest for more money saving ideas and financial tips! We moved onto to exploring Wales (whilst still renovating). I had always hankered after a home in Wales. You absolutely can get the land -think farmhouse with 5 acres – in many parts of Wales. Unfortunately not quite as much in the area we ended up thinking we wanted to be in or near to, the Brecon Beacons – for the big landscapes. We don’t make it easy for ourselves do we? So, having spent 9 months and 2 holidays exploring the Brecon Beacons, Carmarthenshire and Ceredigion we decided that perhaps we should be looking further north. We have always loved the Lake District but had presumed we couldn’t afford anywhere there as it is so popular. And we were right as properties with land/large gardens inside The Lake District National Park are out of our price range. But there are plenty of properties on the outskirts and nearby that seemed to have potential. 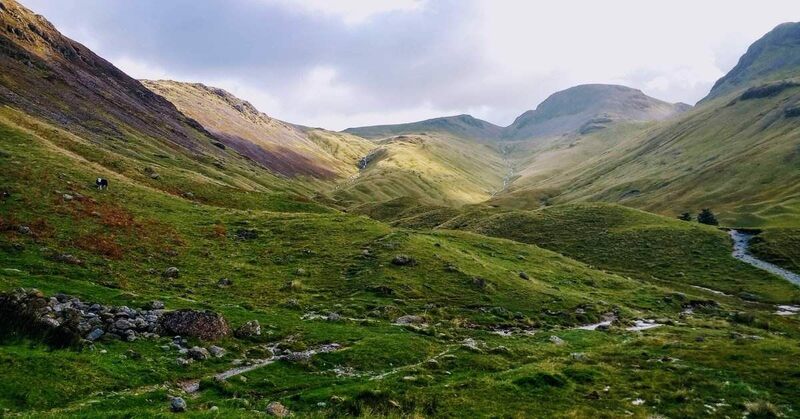 Cue trips to The Lake District to explore further. Let me say right now, I do not recommend going to The Lake District for a weekend when you live on the south coast. Not if you want to feel faintly human at the end of it! Especially if your return journey involves a 3 hour detour to pick up DD2 from university. 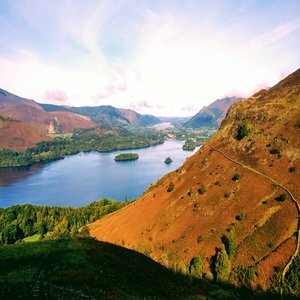 Especially if you are keen to explore the south west Lake District, which is as far as you can get from the M6 before falling into the Irish Sea. Even more especially if you are doing it on a budget so you are staying at the Travelodge in Barrow-in-Furness, 30 miles from the start of your search area. All I can say is that first trip seemed like a good idea at the time…. We love the whole of The Lake District but were finding it hard to narrow our search are down. We reached out to a Facebook Group page for ideas on where to live and many of them suggested the Eden Valley. Which is of course not in The Lake District. They did also suggest almost everywhere within The Lake District National Park as everyone has their own favourites. We honed our search area since that first visit and started concentrating on the Eden Valley area as it has The Lake District, The Pennines and The Yorkshire Dales on its doorstep. We decided we wanted to be near big landscapes but our searching so far had made us realise that perhaps we are unlikely to get the perfect views from our kitchen window. One compromise is to be near these areas but not necessarily inside them. It comes down to budget, what can we realistically afford and how far up the priority list is the perfect view for our FIREplace. So we went to the Eden Valley in February this year. Perfect location, amazingly cold but clear days initially. Our plan was walking and checking out areas. 2 days after we got there Mr2p suggests we visit the South West Lakes area as he ‘does really like it there’ and wanted to compare it to the Eden Valley in the same week. This is not a case of just popping over there, its 2.5 hours each way! I think you know where I’m going with this don’t you? Mr2p has decided that actually he really likes the South West Lakes and is willing to compromise on some of our list in order to be close to the National Park, sigh. Whereas I just want to agree a location, say 20 mile radius, and be done. I want to know where I am going to live, not be continually searching. We spent the next 2 days doing a day in each location driving through villages, getting out for short walks around some of them. And then the snow came and put paid to the rest of the holiday/search programme. No more driving or walking. 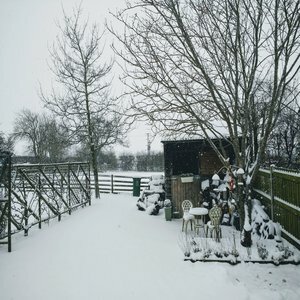 It was get out quick before we got snowed in. We made it with a couple of hours to spare before the M6 was closed. So, we are off to The Lake District again in June. This was booked over a year ago as it’s for my big birthday and I chose Wastwater & Wasdale as the place to spend it in. Luckily this is in the South West Lakes area. Do I think we will achieve my goal this time of honing our search area to within a 20 mile radius? So there you have it, a lesson in how not to search for your forever home! We are determined to achieve our dream of retiring early and moving to somewhere that has all or most of our dream requirements. I am sure many of you won’t make the same choices we are making. You may be happy to work longer to get everything you want. Or you may have everything you want right where you are living now. For us, we are happy with the choices we have made. Although we could have done without the Princetown escapade! After all, it’s all about choices isn’t it? You can choose to pursue FIRE knowing you will need to live, save and invest in a certain way in order to achieve this. You can choose to follow the YOLO brigade and spend all your money every year. It is your choice. We choose to aim for FIRE in the next 2 years. We will have enough to live the life we want but it won’t be full of expensive luxuries. If only finding our FIREplace was as easy as choosing to FIRE! What do you think? Are we mad because we keep changing our minds? Have you moved location? How did you decide on what you wanted and where? Are you planning a move in the future? What a fabulous story, I always admire people that live where they really want to live. Although I think we put a lot of pressure on ourselves by branding something a Forever home, when in reality we can always move again if we need to. I love visiting the Lakes, and often quite seriously toy with buying and renting out one of those small flats in Kendal or Windemere. But not sure I am really as hardy as Wainwright, so it might be grim in the winter. Wastwater is kinda remote, is that what you are looking for? You’re absolutely right, I like the idea of a forever home but chances are it won’t be. Wastwater is fab views and walking but too remote to live in. I dislike single track roads and the thought of negotiating my way along that road regularly is off putting to say the least! Being sensible (who me?) we are not looking to be too remote. The cliché of house on the edge of a village would be perfect, think this is what we’ll end up compromising on. It sounds like a real journey I am sure you will find the right place in the end. Just to throw something else in the mix have you ever thought of Scotland, we often holiday around Pitlochry and Aberfeldy and I have a feeling you would get the big views without the price tag of some of the other places. P.S. I am not even going to mention escape to the chateaux that has me thinking. Scotland has indeed been thought of, especially as Mr2ps Mum is Scottish. I am reluctant due to the issue of independence, don’t want to be there and live through another referendum and it’s outcome. Funnily enough we did consider France but I am not comfortable with not being fluent in the language. Makes me feel very uncomfortable and I’m a rubbish learner! I agree with the above comments, what a fabulous story! I do hope you find your forever place. If the Lakes and close surrounding areas are too expensive, there are probably places in the not too far Lancashire regions where you’ll only be a short drive away but where the property prices might be kinder to the budget? I’d love to retire where I am – close enough to the city centre without being too close, good public transport links. However, I don’t own the property I live in (it belongs to my parents) so my future plans do consider the possibility of renting if/when at some point they decide to sell the house, so I would rent in this area. Sadly, I wouldn’t be able to buy the house from them as it’s well outside of my budget. We have certainly explored parts of Yorkshire and Lancashire, never say never! I am pleased you know where you want to retire to, you’ll certainly save yourself the time and money otherwise spent looking! Renting has a lot to be said for it, especially if you’re in the city, no real maintenance costs. Hopefully your parents aren’t thinking of selling anytime soon. Sigh… the never ending quest for a forever home… does it exist for everyone…or is it as elusive as The One for some of those who dare… I don’t even know where to start in a home search! Tried to get away this weekend, but ended up in the studio still and it’s 4p in the afternoon. Hope you are doing well. Nice job on the Pinterest pin… you are moving right along ! Lovely to see you here although not good your’re still at home on a Saturday afternoon when you had plans. Luckily for us England is a smidge smaller than the US, indeed smaller than many US states. We do know (now) Cumbria and the surrounding area quite well but knowing it to visit and knowing it to live are completely different hence our continued search. We will reach a fait accompli at some point, possibly when we put our current house up for sale. We’ll have to make a decision then! Hope you are settling down in your FIRE journey, girl’s got to live, as well as plan for FIRE! That was a great read, to hear how your thoughts have changed over the years, and how hard it is to find somewhere that is perfect for you. I’d love to have the location tied down long before then, just so it becomes a done deal. We are off to the lakes again in a month’s time so fingers crossed we make a little headway. Although this time, my plan is fells first, location hunting second. I love hearing about how others live. I almost laughed out loud to hear you think driving 2.5 hours was along way. 🙂 I live in Texas. It’s an hour drive to work and an hour and a half home. We regularly drive an hour and a half each way to have lunch with family. Austin and San Antonio are both 2.5 hours away and it’s not that big a deal to drive over for the day. We’re just used to it I guess. It’s nice that you got to travel so much. We haven’t gone exploring much. In my defense that’s 2.5 hours each way and then 3-4 hours driving around the local area, in and out of villages. But yes, our travelling is not on the same scale as Texas. In fact Texas is 3 times the size of the UK! When you live in such a vast area it must be difficult to explore as everything is so spread out. Sometimes in the UK we complain about running out of land but we can at least travel from one end of the country to another within 24 hours. Thanks for coming on over. Great adventure! I couldn’t believe the first one — nothing like a renovation money pit story to strength a partnership! We haven’t decided on where we want to FIRE yet either. We have aging parents that for the most part, we are staying in the same area to be within a few hours of a driving distance so they can still see us and us them. They would never move. And don’t like travel so we feel obligated to stay so they can see their grandchild more. We dream of warm places with NO snow. I say you can change your mind as much as you want to and it’s fun to plan and find the right FIREplace for you! Would you believe me if I said I really enjoyed the renovation? I don’t do DIY, that’s Mr2p’s specialism (he’s in the trade) but there’s something about glossing wood work that is strangely fascinating! Luckily? Our parents are already spread all over so don’t feel so obligated to stay within a certain locale. Hope you decide on the right place to FIRE to when your time comes. Thanks Firethe9to5! We are back up in Cumbria in June so will be reporting back afterwards. Mr2p has already seen a house that isn’t in South West Lakes area so I am thinking it will be an event filled week. At least we can almost guarantee no snow!